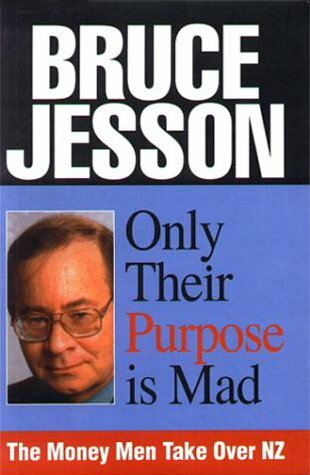 The Bruce Jesson Foundation is offering up to $4000 this year to fund a piece of critical journalism that will contribute to serious public debate in an era of “fake news”. The Foundation’s annual grants aim to fund “critical, informed, analytical and creative journalism or writing which will contribute to public debate in New Zealand on an important issue or issues”. Acting chair Simon Collins said applications for this year’s grant are now open, and close on Friday 14 September. “Unlike other journalism awards, ours aim to pay upfront for journalism that would not be done otherwise,” he said. “We are willing to pay for travel and other research costs, and for the time someone will need to produce a piece of serious journalism which is not ‘fake news’. “Social media and the internet have made it possible for anyone in the world to produce journalism that contributes to public debate, but most people need to earn a living and don’t have the time to produce journalism that will uncover new facts or to do the research necessary to present a new, in-depth perspective on an important issue. “We are not looking just for paid, professional journalists, because they are already paid to produce well-researched journalism. Previous grants have part-funded books on inequality, on New Zealand’s role in the US “war on terror”, and on the abdication of corporate and political responsibility that led to the deaths of 29 miners at Pike River. The latest grants in 2015 supported a new documentary on New Zealand’s role in the US-led global surveillance network, and a report on the feasibility of the Auckland Council adopting the Living Wage. No grants were awarded in 2016 or 2017, but the foundation is keen to find projects worth supporting this year. Applicants should submit an outline of their proposed project and explain how it meets the criteria set out on the Foundation website. Stories must have been published, in any form, between the closing date for last year’s awards, 29 September 2017, and this year’s closing date, 14 September 2018. Last year’s award was won by a student at Massey University’s journalism course in Wellington, Baz Macdonald, for a story on how the benefit system’s rules have failed to keep up with the growing numbers of New Zealanders living in less formalised and more insecure relationships. Applications and nominations can be submitted online through the Foundation website or to the Secretary, Bruce Jesson Foundation, c/- Politics & International Relations, University of Auckland, Private Bag 92019, Auckland 1142.